I checked my browsing history a couple of days ago. More than 90% of the pages I browsed – had Facebook’s Like button in them. I’m pretty sure much of the Internet population feels like this lately. What I didn’t realize, was the depth of analytics Facebook is gathering nowa days, well beyond anything possible before. Facebook do not share this information with website owners, not to mention the site visitors (= us), and it is gathered in a somewhat obscure way. Still, even as a site owner, the information I have access to – is quite anonymous. IP addresses can give me a hint about the location of my visitors. 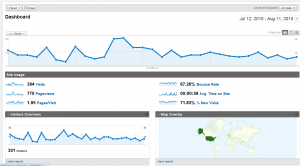 I can see my visitor’s search queries from Google, and analyze trends to optimize advertising campaigns. 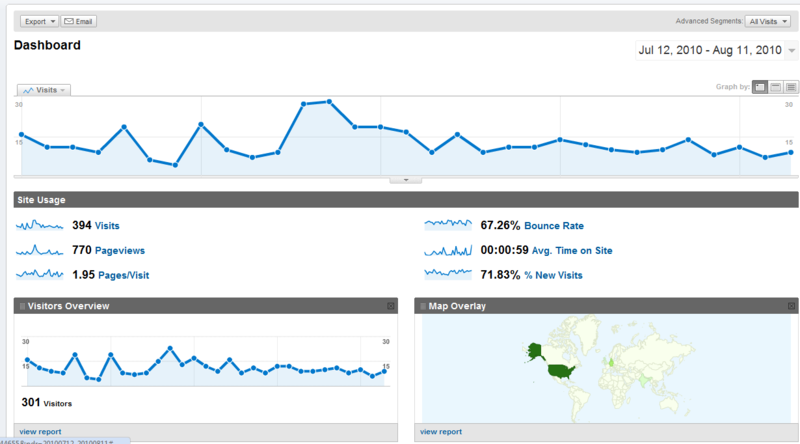 I don’t quite know who exactly my visitors are. Facebook changes the game, and they were not quite clear about this (ahm). As a surfer – I did not opt-in for this, and to “opt-out” – I have to log-out from Facebook all the time. Facebook – can now get a Very detailed view about the visitors of any “Like-embedded” page – whether those visitors “Liked” that page or not. They show us who of our friends already liked this page that we’re currently looking at. To do this, they obviously have to know who we are, right? We do not even have to be logged in to Facebook. We may have last logged in to Facebook more than a week ago. Theoretically, we may have even logged out(!). I know this was already discussed here. (Thanks Assaf Sela). But I think that the full implications of this are not clear yet. I also know that in a similar way Google can do this with their various products, and so can many other ads and services for website owners. Another solution: log out of Facebook, use it from your alternate browser. If you find an extension that filters this cookies, let me know. I was even thinking of creating one of my own. I’m willing to write a Jetpack add-on that will remove all Facebook “Like”s from any page you visit. Tell if you think this would be a good solution and I’ll get started. Sadly, JetPack is getting deprecated,… AFAIK it turned into a kind of an add-on-building-SDK. Removing the likes altogether could be a good solution. Other solutions, like removing cookies that are getting sent to Facebook, Google and other ad networds – when they are a 3rd party – could be even better. I appreciate the concerns expressed here however when you think about the bigger picture this is a losing battle. The simple truth is that as we increasingly digitize our society & enjoy the benefits this gives, so must we come to terms with the costs. Privacy is dying – & it’s going to get much worse pretty soon(ever think what happens when all those hours of CCTV records of you are linked to face recognition technology & the web?). Personally I don’t mind that much – I’m not that interesting & I’ve got nothing to hide. On the other hand I’m rather pleased that lying is becoming impossible. For me the upside greatly outweighs the cost. This is a philosophical debate – unless you’re prepared to “pull a Ben Laden” & live in a cave, privacy is simply not a matter of choice anymore. For some reason, don’t ask me why, I prefer Google (Buzz, GoogleMe) having all that information about me rather then Facebook. I think that removing the “keep me signed in” radio button will solve this issue. Gave it some thought, Mike (and Udi). Privacy is dying, and it is getting chipped away. Partly because of disinterest and partly because of technology moving too fast. So, why should Zuckerberg have the upper hand?? I will go myself, and publish who I am to any site I visit on the net. I can add an HTTP header that will declare: Eitan Burcat just sent this HTTP request, and here’s his website: http://www.eburcat.com – go visit him, he’s a great guy! 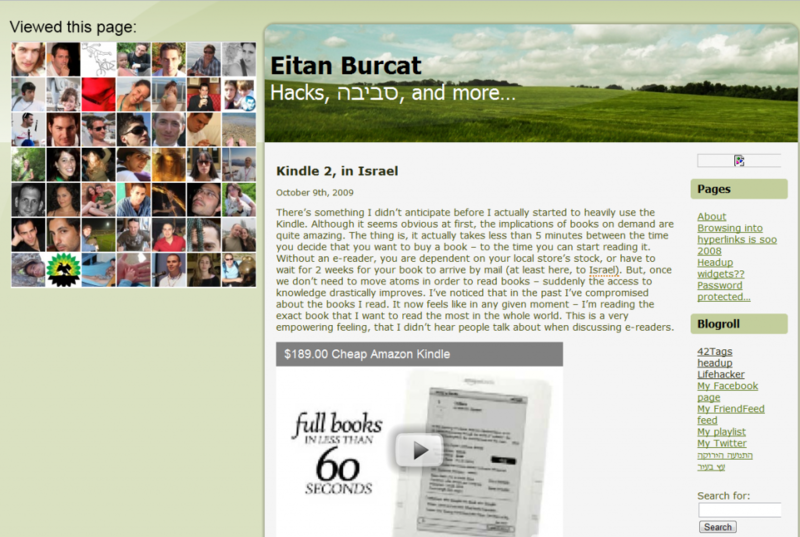 Or better yet, I’ll add a URL parameter to every site I visit, so that on every analytics software, anywhere I visit, anyone who looks at his analytics – will see that Eitan Burcat visited his site, and if he wants to get in touch – he can do it on http://www.eburcat.com. Self publicity on every site you visit? Sounds like a great benefit. Much better than knowing who of my friends already like this piece. Don’t you think?? RefControl (https://addons.mozilla.org/en-US/firefox/addon/953/) – can be used to mess around with website’s analytics. Plug-in the page you want to promote as a referrer. You can tell the website owner yourself that You are now surfing his site – he’ll see “You” in his analytics as the source for his traffic. BTW – As far as I know, there’s more than one way to track users. Even if you disable cookies, you can still be tracked with, for example, Last-Modified and ETag headers. So just blocking FB cookies, or even logging out after every session, or using a different browser, would not help. Adblock seems like the ideal solution.